The U.S. Constitution guarantees representation for criminal defendants who cannot afford to hire their own lawyer. However, low-income persons facing civil issues must turn to legal aid organizations for help. Unfortunately, large numbers of homeowners facing foreclosure are not getting the legal assistance they need. Legal aid and private lawyers can often help homeowners avoid foreclosure by negotiating directly with the bank, which most certainly has strong representation. Legal aid lawyers may also help make the whole process more efficient, as forcibly evicting homeowners is a difficult process. Furthermore, the eviction of homeowners causes other problems down the line. As homes are left vacant and contributing members of a community are banished, neighboring homes fall in value, and local businesses suffer from decreased business. 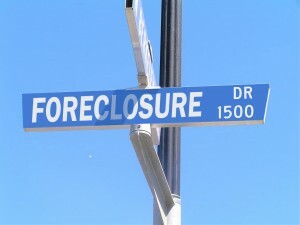 Therefore, it is in everyone’s interest to make sure homeowners can avoid foreclosure when possible. States have taken varying approaches to this problem. Ohio has taken action by implementing free legal aid programs for those facing foreclosure. While most states offer some sort of resources, homeowners must beware of foreclosure rescue scams. A new Florida bill intended to protect homeowners from these scams took effect in October, and at least 12 states have enacted similar laws to combat foreclosure scammers. Only time will tell if these laws accomplish their goals, but in the meantime, homeowners can educate themselves on how to avoid mortgage foreclosure scams.